I love taking pictures. Instagram has become my go-to place for sharing pictures and capturing real-life moments. Even more so I love having pictures printed for display or to scrapbook. 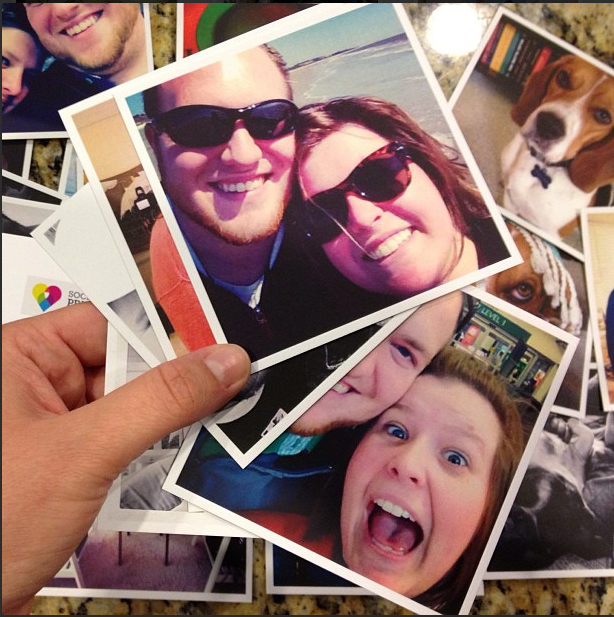 I recently stumbled upon Printstagram which syncs with your Instagram photos to print 4inch x 4 inch pictures. I was so excited to see the pictures I capture on my phone, in a printed version! I love the way the pictures came and the packaging was just so cute! After ordering so many of the prints, I had to find a place to display them. Some of the pictures will end up in a scrapbook, but the majority of them I placed on the wall as a large accent piece. Here are the prints hung up with some tiny clothes pins and some washi tape. It has been really fun to have our friends and family come over and see the “wall of fame” and try to find their picture. I love snapping photos of my dog, husband, and of course our daily happenings. 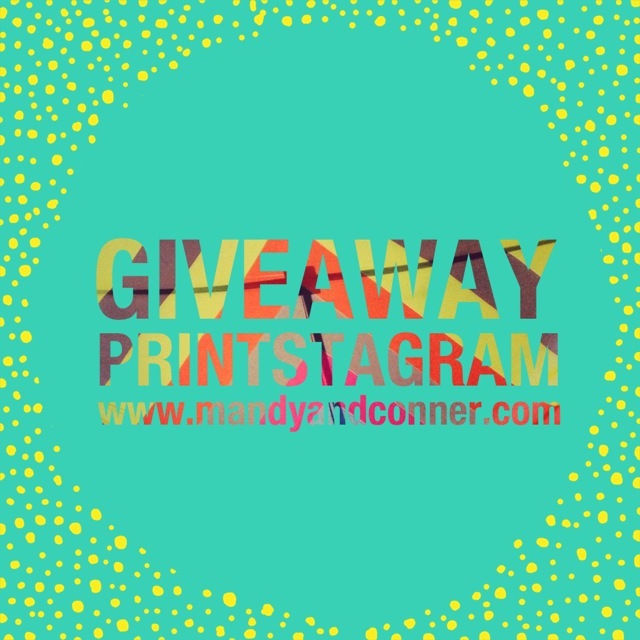 You will receive an entry for each of the following (just leave a comment per action) and the winner will be drawn randomly and announced on Monday June 3rd, 2013. 1)Leave a comment below naming the subject you love to Instagram the most! 2)Pin this contest on Pinterest and leave a comment here saying that you have done so! Note: We aren’t paid for hosting this giveaways, we just do it to tell you of great products we have found, especially when it involves great customer service! 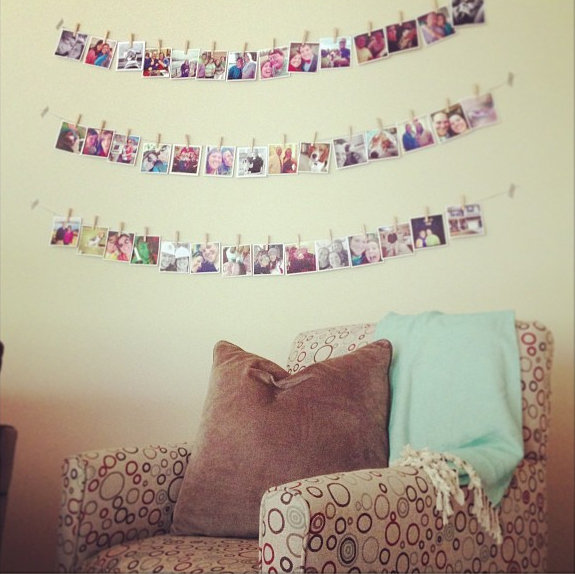 This entry was posted in Home Tour and tagged house tour, instagram, photos, printstagram. Bookmark the permalink. I believe my favorite thing to Instagram would be Abner, or rather #lilabnerpup 🙂 Food is a close second though! What do I love to insta most? #myheart and why #ilovewhereilive.